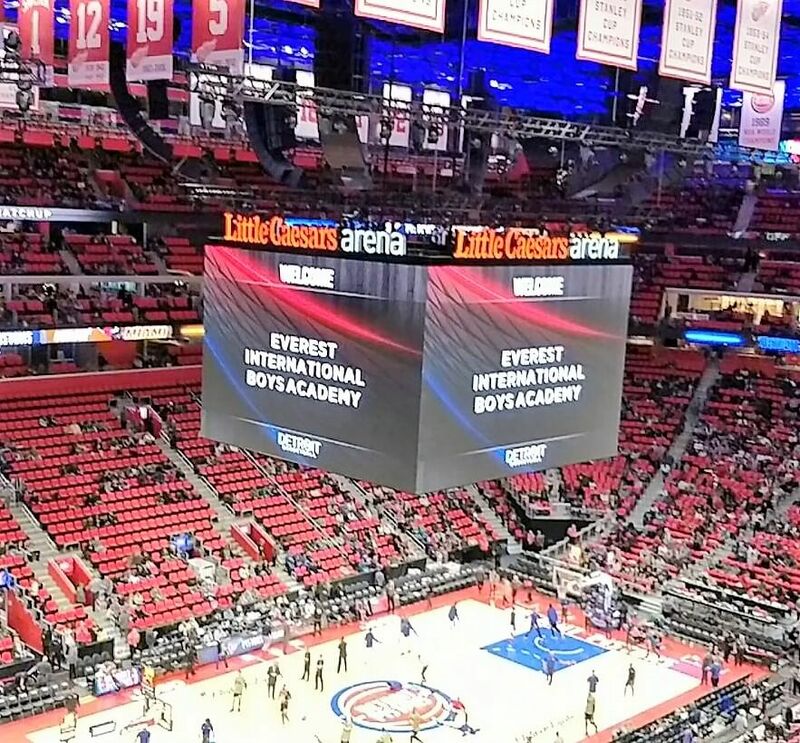 The boys in the Everest Academy International Program attended a Detroit Pistons professional basketball game November 12. The Detroit team was victorious, 112-103, over the Miami Heat at the new Little Caesars Arena. 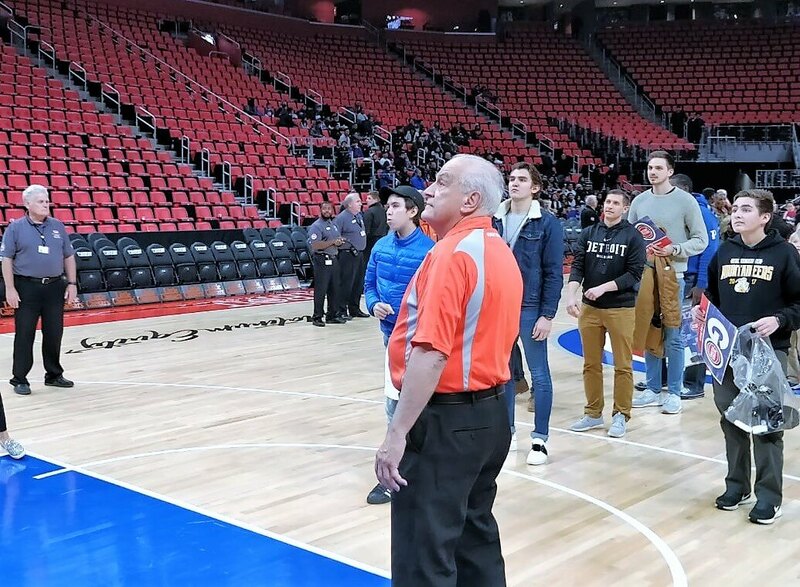 After the game, our students were given the opportunity to “shoot a hoop” from the free throw line. Congratulations to Daniel (wearing a hat and blue jacket) who was the only one to score. Click here to watch some of their attempts.